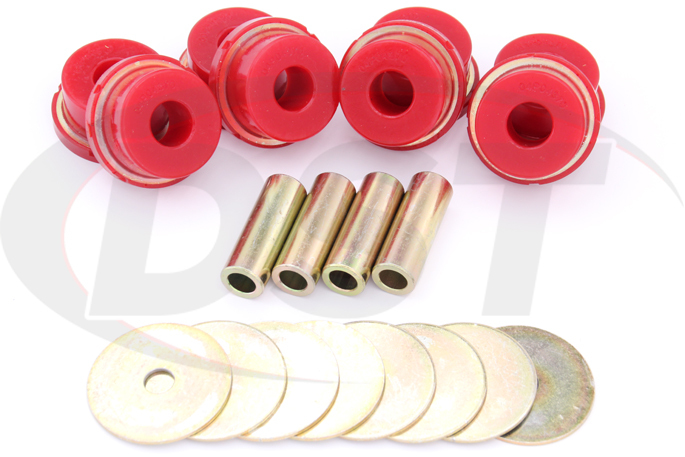 This Rear Sub Frame Bushing Set will fit the stock subframes for all 2005-2009 Subaru Outback and Legacy models. 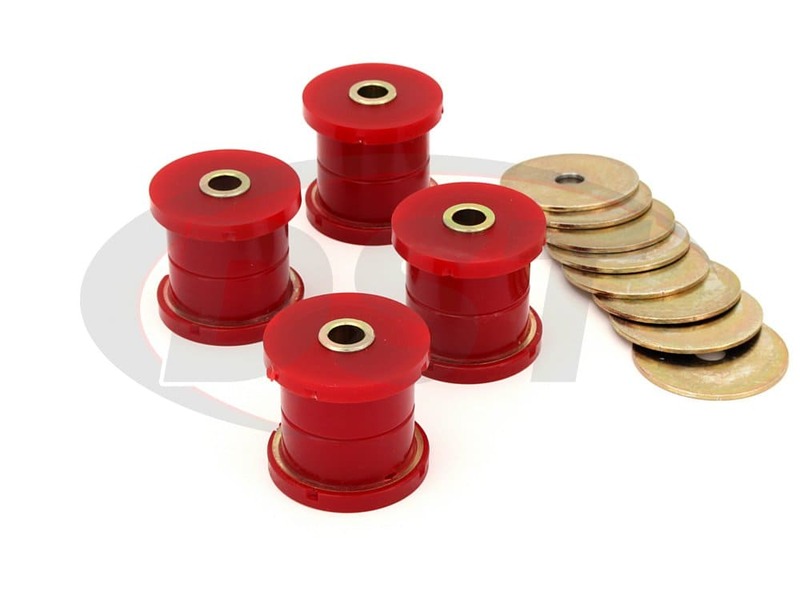 These durable polyurethane bushings will reduce uncomfortable noise and vibration under the cab, movement of subframe mounted hardware and time between alignments. Your Subaru Outback is a battle-proven tank that doesn't let anything stop it; driving across the continental US is a cakewalk for it. It can handle the Grand Canyon and the Rocky Mountains, so you should have reliable rear subframe bushings to compliment that American durability. These bushings will ride with you everywhere you go, from the streets of Stephenville, TX, all the way up to Glacier Park in Montana without fail. When you buy a Subaru straight off the lot it comes with soft and flexible rubber subframe bushings. Rubber does a great job absorbing vibration and reducing road noise, but it has a relatively short life span and deteriorates when under stress. 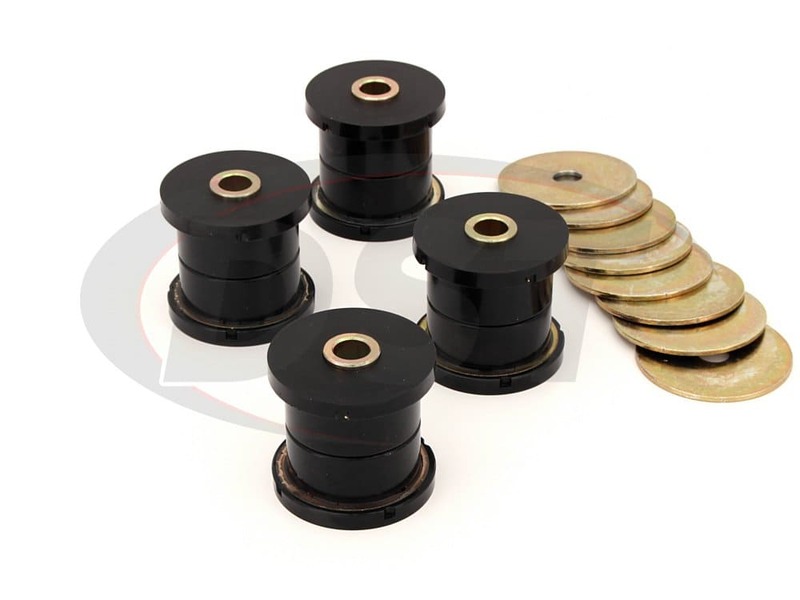 When these rubber bushings start to crumble and weaken, they leave gaps in places where there shouldn't be any, allowing for the movement of parts that should be secure. Since the subframe carries parts like the engine, transmission, or drive shaft, a sturdier bushing is needed to prevent bushing deflection which can speed up wear and tear. 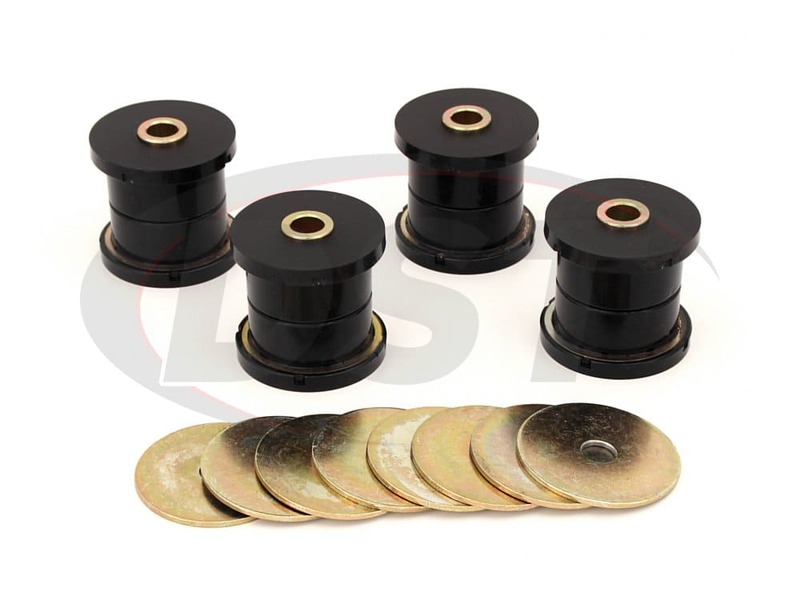 You could replace your old rubber bushings with new rubber replacements, but even new rubber bushings deflect under load. To solve this problem and prevent deflection you can use Energy Suspension's polyurethane rear subframe bushings that hold the important components in place while lasting the life of your Subaru Outback or Legacy. 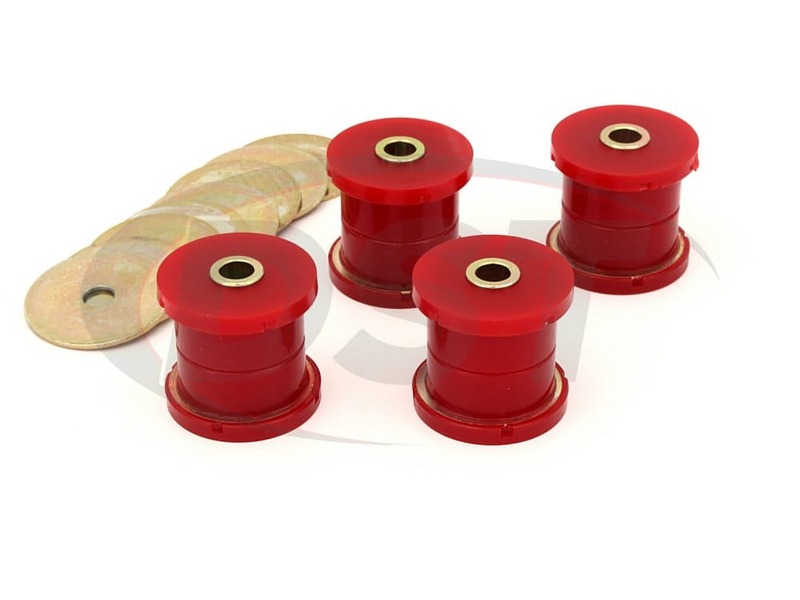 These polyurethane rear subframe bushings are by Energy Suspension using their "Hyper-Flex" technology to ensure that each bushing has the right hardness, quality, and performance for your Subaru. They won't deflect like rubber bushings and will keep your subframe mounted components in place, keeping heavy parts from jostling around and messing up your alignment, or even worse, damaging the parts themselves. 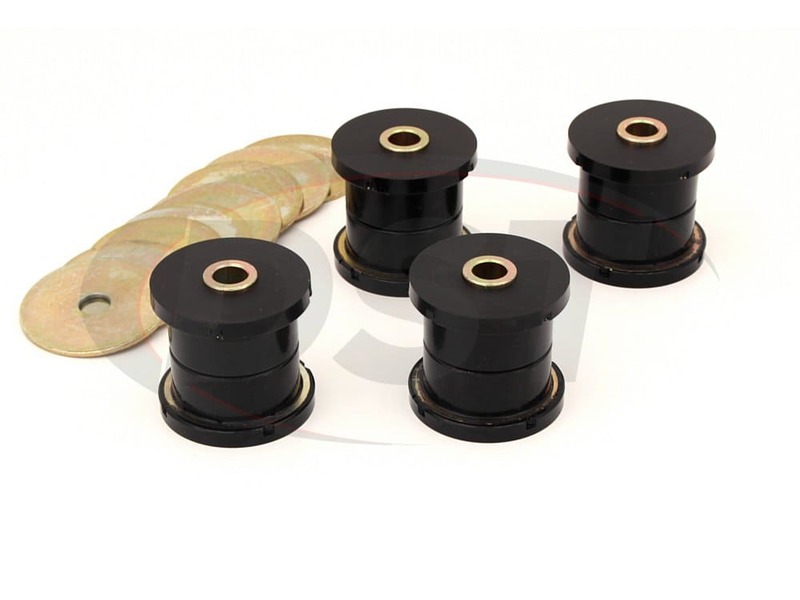 Rubber bushings degrade when they are exposed to heat, motor chemicals, road salts, and stress. 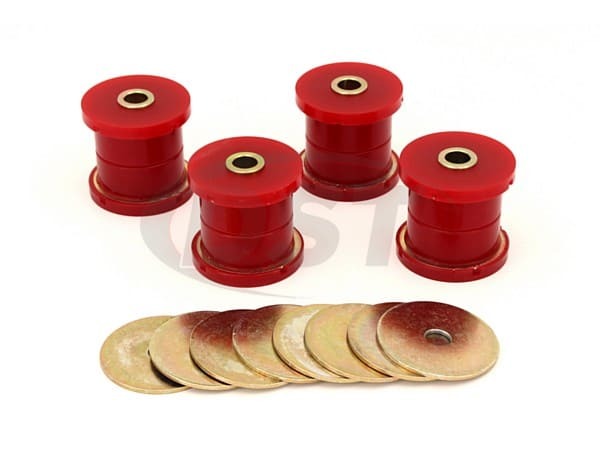 These polyurethane bushings resist all of these while remaining durable under the most stressful circumstances. 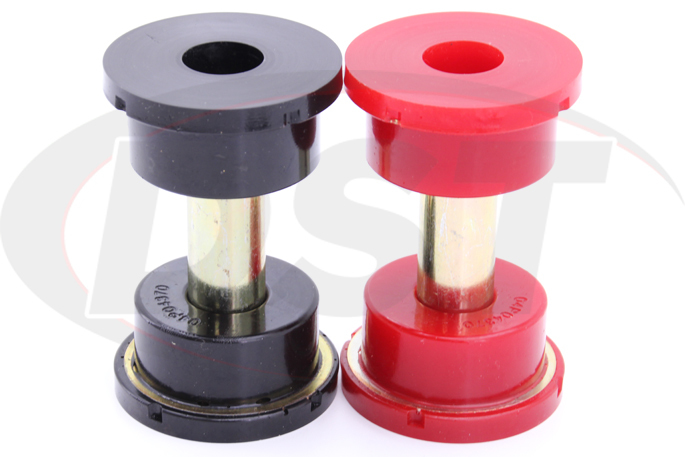 We here at DST so sure of these bushings that we'll even throw in an exclusive lifetime warranty, along with free shipping. 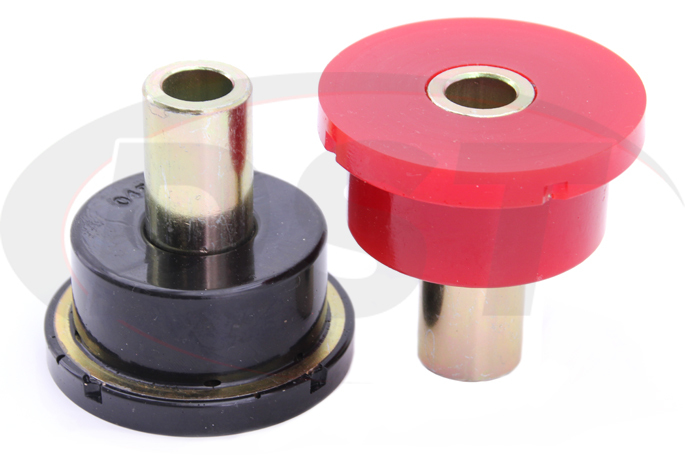 You're going to be installing a set of bushings that will not only increase durability while keeping your subframe in place but do so with no increase in noise or vibration. It's a win-win.